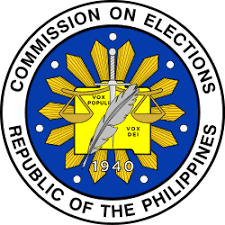 MANILA — Commission on Elections (Comelec) Commissioner Marlon Casquejo on Monday turned over the executable file of the Election Management System (EMS) Trusted Build for the May 13, 2019 National and Local Elections (NLE) to the Commission en banc. In a ceremony at the Comelec Chairman’s office, the poll body official presented to Commissioners Antonio Kho Jr. and Socorro Inting the file which will be escrowed to the Bangko Sentral ng Pilipinas. Casquejo personally witnessed the “trusted build” conducted by international systems and software testing firm, Pro V&V, in Alabama, USA last week. “It is the process of the Comelec to have this trusted build. This trusted build will compile the readable texts program,” he said. The EMS compiles the number and profile of registered voters, their geographic locations, polling precinct information, among others, all of which are necessary in designing the official ballots. The “trusted build” is the process of assembling the overall program that will govern the entire AES using the reviewed components. Next Habitat for Humanity Philippines hosts real estate fair in Mandaue.